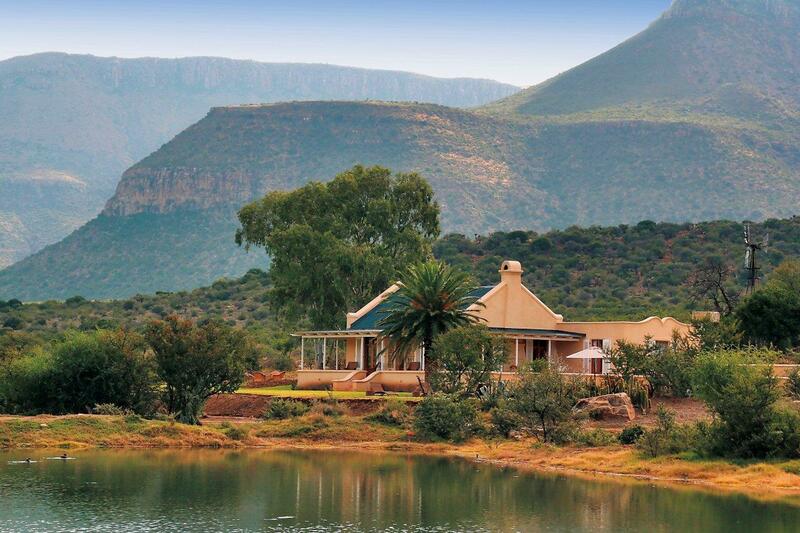 Mount Camdeboo Private Game Reserve lies just to the east of Graaff-Reinet in the heart of the malaria free Eastern Cape's Great Karoo. Luxurious beyond expectation, experience a personalised visit to this magical region that is steeped in history, culture and breathtaking views! 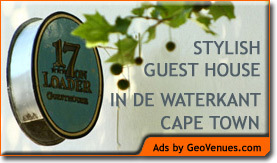 Guests are accommodated in three Cape Dutch houses that lie cupped in the palm of the Sneeuberg Mountain range. Once homes to generations of settlers, these magnificent homesteads have been sensitively converted into havens of five star luxury. For centuries, Khoisan hunter/gatherers and settler farmers etched out a living by grazing their sheep and goats on the lands of the Greater Karoo. This activity took its toll on the land. Which is why, from the very first day that a foot was set on the Mount Camdeboo reserve there was a drive by the desire to protect, manage and rehabilitate the natural resources for long term conservation and sustainable utilisation. This is a place where the normal mad rush to see the big 5 is over ruled by the awe and magical beauty of the Karoo plateaus. Although not being big 5 Mount Camdeboo 14 000 hectares of ancient land is still home to cheetah, white rhino, cape buffalo, giraffe, mountain zebra, wild cats, sable, a host of antelope, birds of prey and a unique collection of fauna and flora. An ideal wedding, honeymoon, anniversary, family holiday or team-building destination, Mount Camdeboo invites you to share its people’s love for this sometimes harsh, yet always breathtakingly beautiful, land of contrasts. Mount Camdeboo Private Game Reserve is situated in the Graaff-Reinet district, a mere 280 km (approximately 3 hours) travel by road from nearby city, Port Elizabeth. Also easily accessed by air from Johannesburg, Cape Town and Durban. * Self-catering is optional and guests can pre-order their shopping list.